CORK CITY COUNCIL has become the first local authority in the State to officially support gay marriage, after unanimously passing a motion in favour last night. 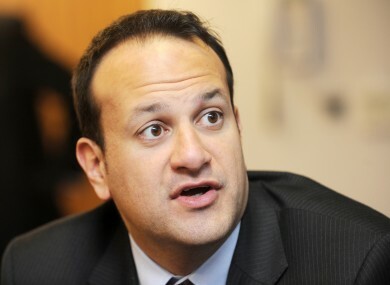 The motion came as marriage equality gained another backer in the Cabinet, with Minister for Transport Leo Varadkar expressing cautious support yesterday. The council vote, which was passed without debate at the close of the meeting, was put forward by Sinn Féin councillor Michael Nugent. I’m very happy that Cork City Council has taken the lead on this, and I hope it has sent out a signal to people in the gay and lesbian communities in Cork city and further afield – that the struggle is ongoing for recognition and equality in society. I hope this is a step in that struggle. Nugent added that civil partnerships were “a significant move”, but that there were “major differences” between the partnerships and full marriage. The measure followed a similar motion passed by Belfast City Council last week. However, unionist councillors walked out before the Belfast vote while most representatives of the Alliance party abstained, the Belfast Telegraph reports. Meanwhile, Leo Varadkar expressed cautious support for marriage equality yesterday. Email “Gay marriage: Cork city council passes landmark motion in support”. Feedback on “Gay marriage: Cork city council passes landmark motion in support”.